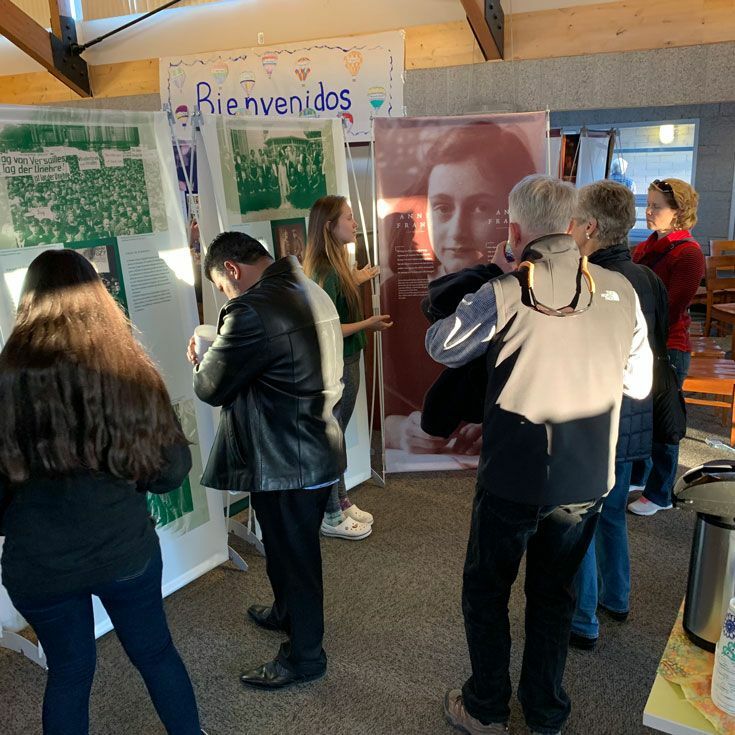 More than 550 visitors toured the internationally acclaimed exhibit Anne Frank: A History for Today, during its one-week run at Bosque’s Ford Library. Eighteen classes had tours—including a group from another school and every class/section/student in Bosque’s middle school. 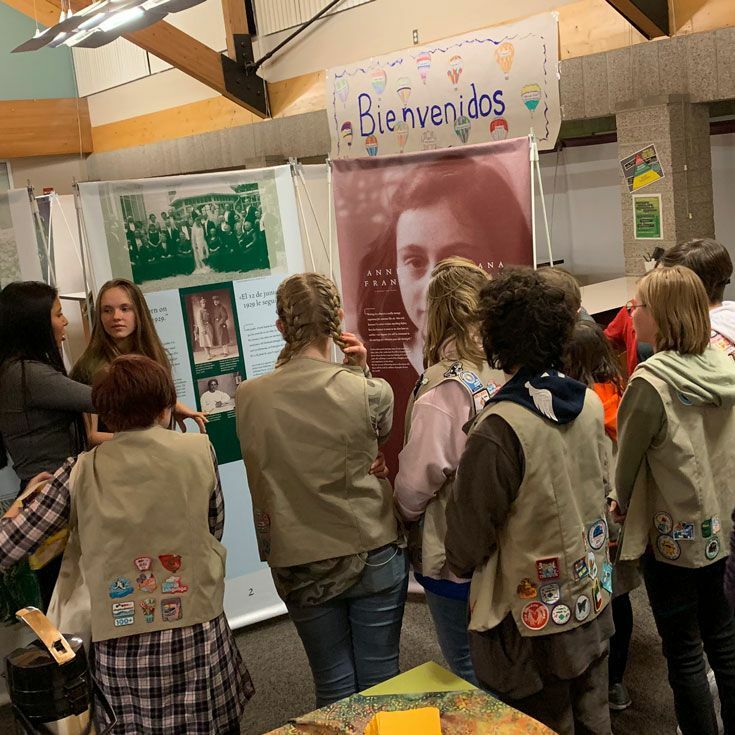 More than 120 community members and parents, including a Girl Scout troop, attended and had tours during our Community Open House last Wednesday night. The tours were led by Bosque student-docents who were informative and engaging, and provided unique attention to each group. The docents also expressed how, with each tour they gave, their own understanding was deepened. 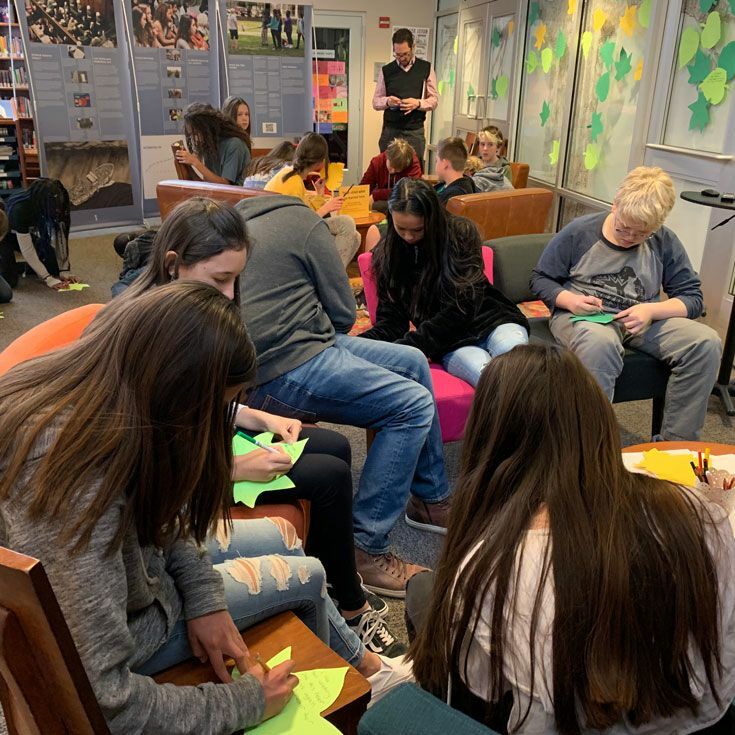 They became passionate about how important it is for students and people to learn about the Holocaust. Bosque’s “Tree of Hope” is bursting with leaves of thoughtful messages and reflections. Stop by and take a look.